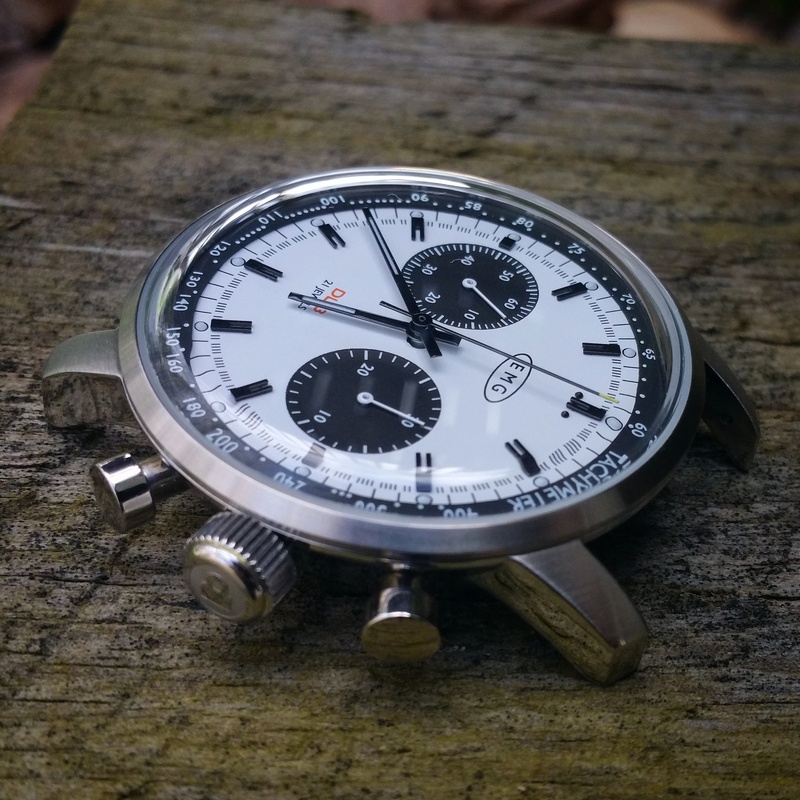 We love independent watch brands here at WRUK, and one photo we shared has been unbelievably popular on Facebook: the DL63 Panda Chronograph from newcomers EMG watches. 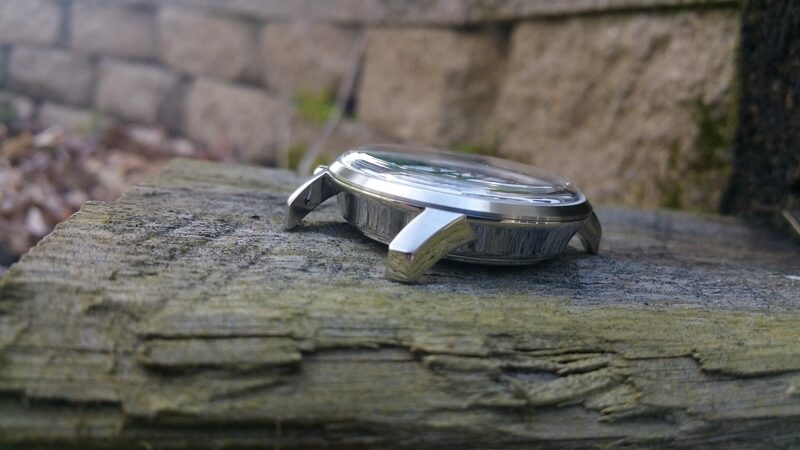 Derek from EMG was kind enough to share some images of the new watch prototype with me. Although it still has a few rough edges, we think they are onto a winner. It mixes the popular “Panda” look with some vintage design cues and it is really beginning to turn heads in the online community. 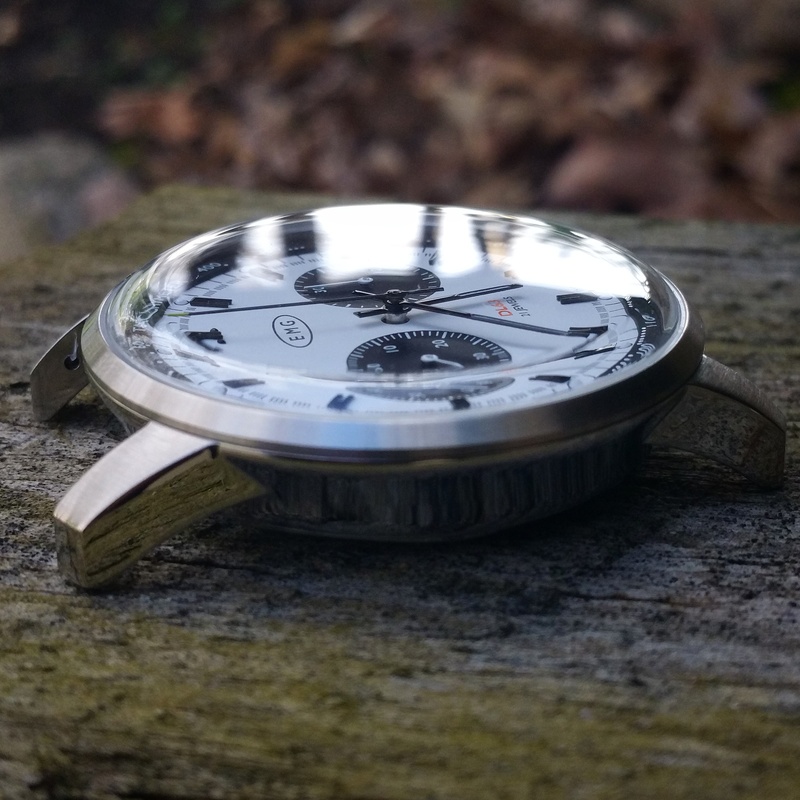 The watch is based around the hand winding ST19 chronograph movement which is also used in the HKED Seagull 1963 Chronograph we reviewed in our last week’s “A Week on the Wrist” feature. In fact, Ed has been instrumental in getting this project off the ground. He also supplies the cases for this new model. 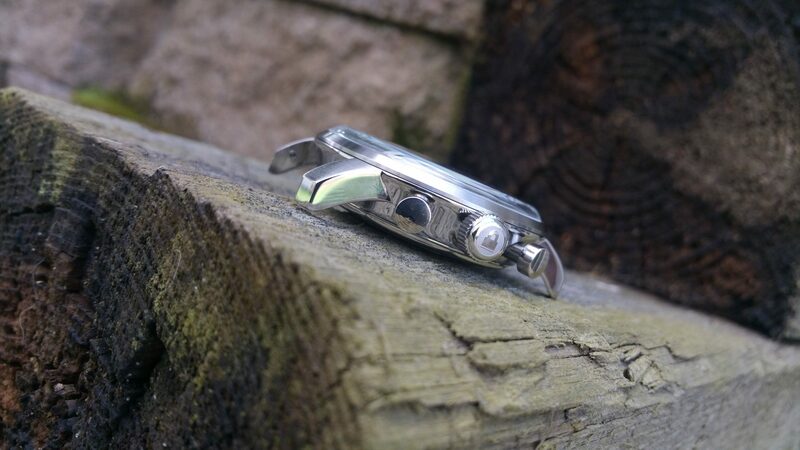 We had a couple of issues with the 1963 Seagull: the small case size and the acrylic crystal. We are pleased to report that EMG’s DL63 Panda Chronograph has a 42mm case and a mineral crystal. That sorts out both of our minor niggles in one fell swoop! The dial is beautiful: really easy to read and just the right balance between modern and vintage. It also is easier to read than the Seagull 1963 it is based upon, especially with the orange-tipped second hand that will feature in the production models. It comes on a rally-style strap. Some other microbrand watches suffer from cheaply made straps so this worries us. We expect many purchasers will choose a replacement anyway, but it is nice to see a watch on a decent strap to start with. We will reserve judgement on it until we’ve seen it in person. It certainly looks the part from the photographs, as you can see. The only things we would like to see that aren’t already featured is a bracelet option and a sapphire crystal. Unfortunately, these options were not possible for this particular model. If EMG sell enough of them, who knows what the future holds? 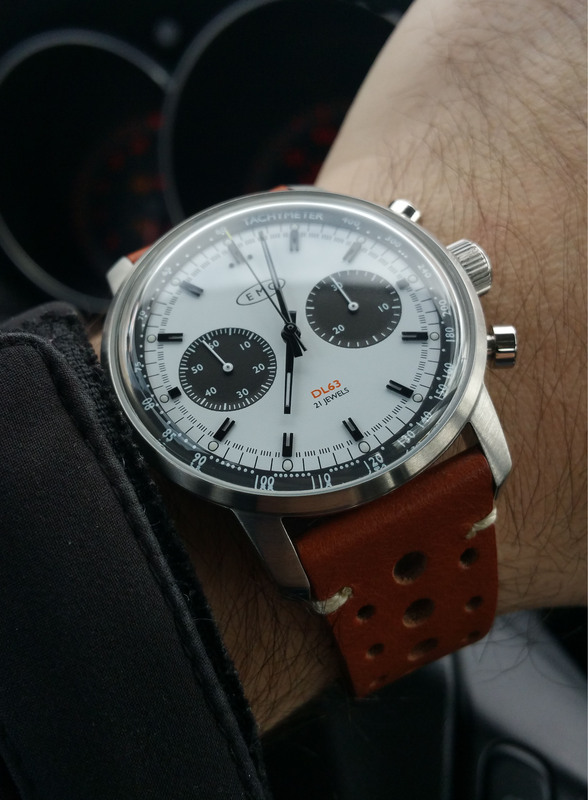 We are hoping to borrow a DL63 Panda Chronograph for our “A Week on the Wrist” feature soon. 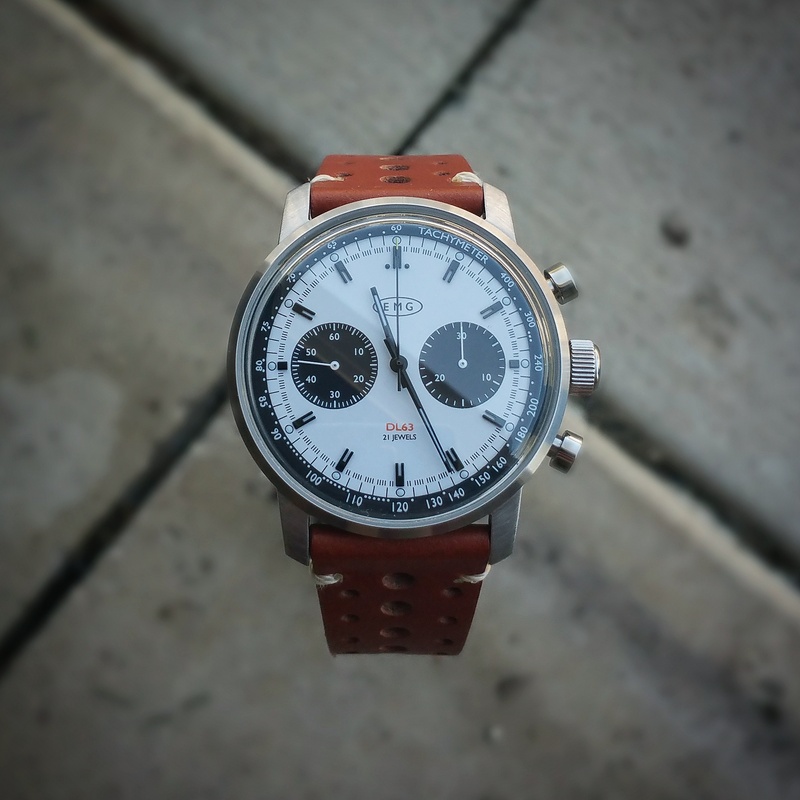 Like many microbrand watches, the EMG DL63 chronograph was initially crowdfunded. The first run of 50 watches sold out very quickly, so EMG are now taking preorders for a second run, at the very reasonable price of $320. EMG have a few other models in the pipeline. We are particularly excited about the Horizon chronograph which is a modern twist on the classic Heuer Monaco square style. You can find out more about EMG at their website, and we will be featuring them in our inaugural “About the Brand” feature in a few days. Drop them a line at emgwatches@gmail.com if you fancy one of these beauties but be quick, they couldn’t sell quicker if there was a free hot cake with every watch! Finishing- Bezel and top of lugs will be brushed and the sides polished.